On Friday, March 22, Fr. Bill Pitcavage, SCJ, died of natural causes at home; he was 76. 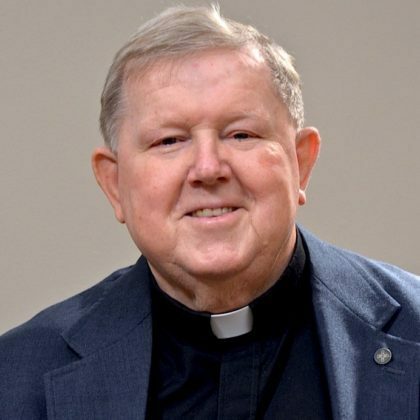 He made his first profession in 1969 and was ordained to the priesthood in 1976. Fr. Bill would have celebrated his 50th anniversary of vows this year. It was during his time as a Navy medic that Fr. Bill began to seriously discern his vocational call. Along with a call to the priesthood and religious life came a desire to be a missionary. He served in Africa for 20 years, first in Lesotho and then for 18 years in South Africa. On Facebook, tributes came from former parishioners, friends, priests and other religious. “Fr Bill was a light and inspiration to our family and the Port Elizabeth Catholic community,” wrote another. Click here to read more about Fr. Bill on the province website. Services for Fr. Bill Pitcavage will be today (March 25) at Good Shepherd Chapel at Sacred Heart at Monastery Lake in Franklin, WI. Reception of the body and a prayer service will begin at 3:00 p.m. The Mass of Christian Burial will be at 4:30 p.m. Interment will be in the mausoleum following Mass (weather permitting). +Fr. Carlos Manuel de Carvalho Correia da Silva, a member of the Portuguese Province, died March 5. He was born in 1959, professed in 1980 and ordained in 1989. +Fred Masarik, a member of the staff at Minuteman Press in Hales Corners, WI, died March 19; he was 73. Fred was well known by many SCJs and staff in Hales Corners for his years of work picking up and delivering print orders. Click here to view the obituary. Social media isn’t just for selfies and cat videos! Fr. 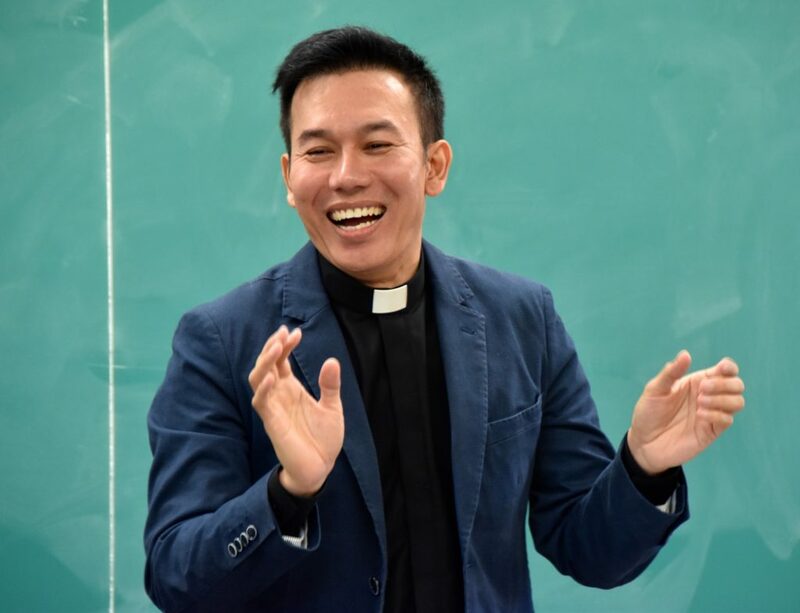 Vien Nguyen, SCJ, was coming to the end of his doctoral studies in Sacred Theology and began to think more seriously about an idea that been rolling around in his head for a while: in the midst of selfies, cat videos and political messages, could there be welcome space on social media for reflection on the Bible and the Church? With a population of 2.32 billion, Facebook has a lot of people; it seemed like a good place to live Fr. Dehon’s directive. Starting with something familiar, Fr. Vien wrote about the use of fish sauce in Roman times, trying to make connections between the time of Jesus with people today. Fish sauce was popular then as it is now. 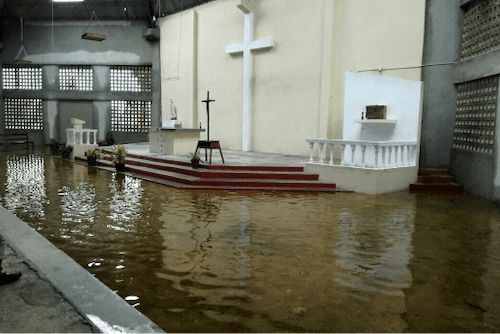 “It was just a quick outreach, a way to help people become more familiar with the Bible,” said Fr. Vien. The response was very positive; people asked if they could share the post. He wrote more, making the posts public so that anyone could view them. Topics have included women in the Bible, scripture quotes, the Mass, and marriage. He writes the posts in both English and Vietnamese, but his focus is on the latter. “There are so many excellent biblical resources in English but not many in Vietnamese,” he said. “I thought that this is a need that I could address.” He is also working on a commentary in Vietnamese on the Gospel of Luke. Click here to read more about Fr. Vien’s social media project. Click here to read Archbishop Claudio’s full letter. JUNE 10-14 ASSEMBLY – All SCJs, novices and candidates are invited to the June 10-14 Assembly. Click here to RSVP. THE POPE AND THE RABBI: A FAITHFUL FRIENDSHIP – At 2:00 p.m. next Sunday, March 31, the Lux Center for Catholic-Jewish Studies at SHSST will host Rabbi Abraham Skorka who will speak about his conversations and friendship with Pope Francis. The two co-authored a book titled On Heaven and Earth. After the lecture, Rabbi Skorka will be available for book signing. Admission to the lecture is free but you must register. To do so, click here. MISSION EDUCATION – the next Mission Education Conference will be October 13-15 at St. Joseph’s Indian School in South Dakota. Organizers are in the initial stages of planning; more information will be available in the months ahead. For more calendar items, click here to access the North American online calendar. Those celebrating birthdays in April include: Fr. Jim Walters (69) on April 17, Fr. Jim Schifano (74) on April 19, Br. Duane Lemke (47) on April 26, Fr. Tom Lind (87) on April 27, and Fr. Paul Casper (89) on April 29. Happy birthday! Fr. 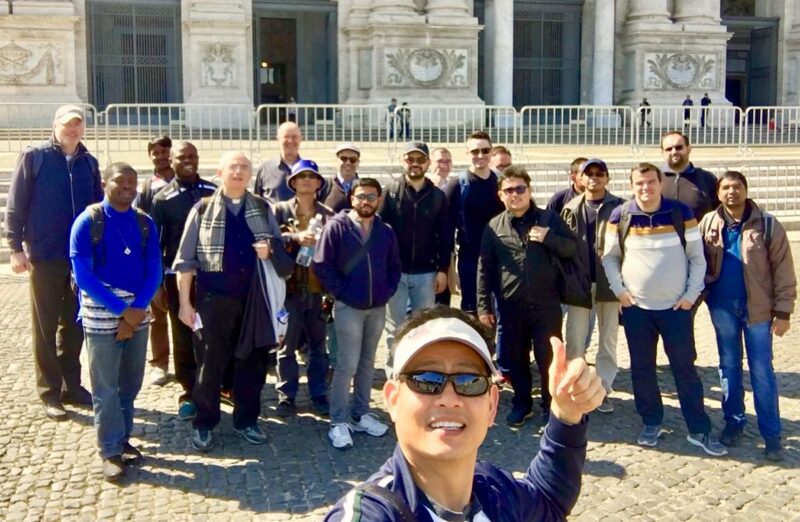 Joseph Dinh, SCJ, who is taking part in the extended formators program in Rome, sent a few photos from a pilgrimage that he and other members of the Rome community did on Saturday, March 23. They walked nearly 17 miles visiting seven churches of Rome “beginning with San Pietro [St. Peter’s Basilica] and ending with San Paolo Le Mura [St. Paul Outside the Walls],” he wrote. “In between we visited Santa Maria Maggiore, San Lorenzo, Santa Croce, San Giovanni Laterano and San Sebastiano.” The pilgrimage was filled with prayer and reflection along the way. Fr. Joseph (front) is pictured below with fellow Dehonians.